Hullo, everyone! 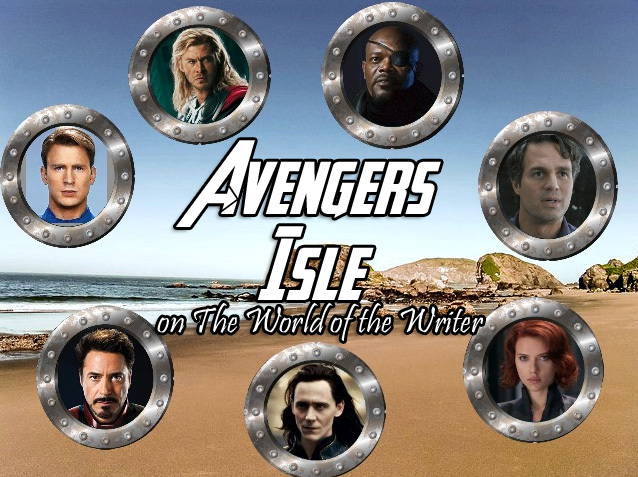 It’s been coming for a while (and been delayed at least a month), but sadly, this is the last episode of Avengers’ Isle! 😦 Well, let’s see how this thing ends… For past Avengers’ Isle posts, click here. “I want a full explanation,” Fury said. Steve sighed and settled into a seat on the Quinjet. Bucky sat down next to him, and the others found places to sit or stand. Natasha was in the pilot’s seat, and she had reluctantly agreed to let Tony be her co-pilot. Somehow Thor and Bucky had managed to shove Red Skull’s limp form into an overhead compartment. Agent Barton was latched into one of the seats, his head lolling to the side since he was still unconscious. All Steve wanted to do was talk to Bucky, but that wouldn’t be possible until Fury’s fierce interrogation was over. Bucky rolled his eyes towards Steve, who struggled to hide his smile. “Would you like an info dump, Director?” he asked politely. “Hey, I’m the Consultant,” Tony protested, twisting around. Steve thought of the agent. Sadness welled up as he realized that he’d probably never get to sign those antique Captain America cards. They were probably at the bottom of the ocean. But if Loki could survive after being in a glass nearly-unbreakable prison in the Helicarrier, surely Agent Coulson and the others could have made it out. Right? “Why did my magic not work?” Loki asked, breaking his silence. He’d been surprisingly cooperative, but Steve couldn’t help but be wary of him. It was only about a week since the incident in Germany. “Not while we’re on the jet!” Natasha yelled. Controlled chaos ensued as several agents removed Red Skull. Thor convinced Loki of their need to return to Asgard, and after a last farewell (and a surprisingly emotional goodbye between Loki and Tony), they departed. Agent Barton finally regained consciousness, and although he was a little woozy, he got onto the quinjet, with help from Natasha . Fury and Coulson joined them, although Coulson reminded Bucky that he would need to report later. Dr. Banner looked lost, until Tony invited him inside to his lab. That left only Steve and Bucky. Steve looked at his old friend, so different now. “Want to walk to my apartment with me?” Steve asked. Bucky nodded, and they strode off down the familiar unfamiliar streets. They walked in silence, but not uncomfortable silence. They paused several times to look at what might have been familiar places. They reached Steve’s apartment too soon, and Steve lingered out front with Bucky. “Coffee sometime?” Bucky asked. Steve could only nod as emotion welled in his throat. His friend reached over and grasped his shoulder. Steve felt a smile come out in spite of himself. And then he was laughing. Soon Bucky was laughing too. Somehow, they managed to stop, and Steve blinked at his old friend. Just like old times. And that, my friends is the end. If you’d like to cry, I have plenty of Kleenex, and if you want to bash me over the head, I also have frying pans. And apples, if anyone would like those. (Not you, Maximus!) Thoughts? Questions? Senseless blabbering? Comment away! Oh, I know you guys are itching to find out if Tony kills Loki, or if Loki kills Tony, or if Natasha kills them both. I’m sorry to torture you, but you’ll have to wait… See past episodes here. There was absolute silence around the campfire. The two men managed to avoid each other’s gazes by staring into the fire. The smaller one gave an involuntary shudder and pulled his legs up to his chest. Fury gazed at him. Somehow his eye patch had stayed on. Banner wondered if it was glued to his head and shook the thought away. “Hopefully I won’t get the chance to thank him,” Fury said. The two sat in silence for a while. “Do you think anyone else made it out?” Banner asked quietly. Thor and Steve both stared blankly at the small fire Steve had managed to build. Sometimes people made him feel stupid, but at least he was smart enough to know how to build a fire. He still had a brain. Thor interrupted the silence. “I do not wish to be a, uh, wet blanket? But what shall we do next?” Steve felt sorry for the Asgardian. All Thor’s attempts to call his hammer had failed. Steve didn’t know how it worked, but it sure wasn’t working now. The Asgardian lay his head down. Steve felt a connection with him. They were pretty similar, in a way. This was a different world for both of them, and they were both sort of soldiers. Steve started to lay down when his super hearing caught the sound of a twig cracking in the forest nearby. He stiffened and gazed at the forest, his night vision struggling. He hadn’t even considered that they might not be alone. Steve stood up, advancing towards the forest. He really, really wished he had his shield now. “Who’s there?” he demanded. There was a chilling, bone-tingling laugh. So familiar. Steve fell towards a nearby tree, gripping it as his knees began to feel weak. In the darkness, the memories seemed almost real. There was a sneer in the voice. He barely had time to register the words before he blacked out. Mwa-ha, I am so cruel! Guess we’ll find out what happens next week… or the week after, who knows. Just FYI, we’ll find out later why Thor can’t call his hammer. (And yes, before you ask, I already have a reason. 😛 ) Any guesses on who this mysterious person is? It’s not any of the Avengers or Loki. Just so you know. 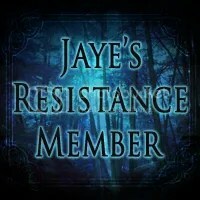 This fanfic is really long (although I wrote it in one sitting) but I didn’t want to split it up, so here it is, all in one post! Oh, the humor, oh, the feels… Let me know what you think! And check out the newly updated Novella page – I’ve finished covers for several of my stories! Steve continued to protest, but eventually the other Avengers sided with Natasha, and there was no way he could resist all of them. He agreed. Clint and Thor both whooped and raced down the hall to gather everything they’d need. Before long, they were all shoved into a spare SHIELD van and were en route to the amusement park. Natasha pulled the car up to the admissions booth. “How many?” the man asked. “FUNNEL CAKES!” Clint yelled from the sunroof. The admissions guy looked up at him and then nodded in agreement with Natasha. She rolled her eyes. They drove through the huge parking lot trying to find a space. With Clint’s help from the sunroof, they were able to find one fairly close. People were flooding the place. Natasha didn’t let anyone leave the car until she verified that their cell phones were on and she could track them with her own phone. “Have fun, Captain,” she called as she and Clint raced to the Ferris wheel. Steve stood there, feeling lost and not knowing where to go. Thor came up and stood next to him as Banner wandered off to find a quiet place to watch the commotion. “I do not know where to begin, either,” Thor said, frowning. Tony dragged them through the maze of rides, games, and concession stands. Somehow they ended up with nachos and drinks on the way to the rollercoaster. Steve found that the nachos didn’t taste quite as bad as they looked. Suddenly, Thor stuck his arm out and stopped them. “Look,” he said, pointing. Steve and Tony glanced to where he was pointing. A man held a giant hammer with a long handle. An amusement park employee stood next to him, pointing to the tall, lit-up board. The man stepped up to a big button and swung the hammer down. The board lit up halfway and the man sighed in disappointment. “Yeah, it just a stupid hammer strength game meant to waste your money,” Tony grumbled, looking disgruntled. Steve figured that he’d tried the game before and lost. He glanced back at Thor and paused. There was a gleam in the Asgardian’s eyes. “Uh, Thor…” Steve began. “Do not worry, I will not break it,” Thor announced as he headed over to the booth. Ten minutes later, they were once again on their way to the Raptor, now with a giant stuffed panda in tow. “What are we going to do with this dumb thing?” Tony growled, trying to see around the bear. Thor had elected him to carry it. “Do not insult my bear,” Thor said, happily sipping his drink. Tony rolled his eyes, looking disgusted. Steve shot him a warning look and he kept his mouth closed. Steve gave him a smile as they took their places on the ride. Tony sat down next to him and pulled down the bar across their chests. “I had to pay for the bear to ride,” Tony grumbled. Steve gripped the bar tightly. This thing was a lot more open than the rides he was used to. Thor sat down in front of them, resituating the panda before pulling down the bar. Steve could see that he kept a tight hold on the stuffed animal, just in case. Steve could hardly see around the bear’s giant head. The ride started to move, and Steve couldn’t help but grip the bar tighter. The roller coaster cars started to climb upward, and Thor pointed down at something below. “Look!” he yelled. Tony rolled his eyes. “Don’t listen to him. It’s best not to look down.” He glanced sideways at Steve. “I’ve been on a roller coaster before,” Steve told him. And ziplined onto the back of a train. “Right now I’m in the middle of nowhere. If I wait any longer a lot of people are gonna die. Peggy, this is my choice.” He opened his compass with the picture of her and set it on the plane’s controls as he started to make the plane go down. They managed to peel his fingers off the bar and drag him to a nearby bench. “What shall we do?” Thor asked, setting the panda down next to Steve. Tony frowned down at Steve. “You text the others, I’ll get some water and see if I can get him to snap out of it.” Thor nodded and pulled out his phone. Natasha glared at a grubby-looking man who got too close to her stash. She was guarding the prizes she and Clint had won while Clint rode the bumper cars. Needless to say their time in the shooting gallery had been well spent. She had a good view of the bumper cars from her position. She needed to remind Clint to take it easy. He’d already give two people whiplash, and one of them was an adorable little girl. Her phone buzzed and she pulled it out. A text from Thor. She frowned and opened it. Distress! Trouble, by large metal hill. Come immediately! Natasha rolled her eyes. “What do you think he meant by ‘large metal hill’?” She scanned the surrounding area. “The Ferris wheel?” Clint joked. Tony paced next to the bench, occasionally glancing over at Steve. The younger – older? – man still had a terrified, glazed expression. It worried him, but he didn’t know what to do. Thor had sat down on the bench, sound asleep with a smile, one arm around the motionless captain and the other around the stupid stuffed panda. The panda’s staring eyes taunted him with the same glazed look as Steve had. Tony threw his hands up in the air. “I didn’t do it. At least, I didn’t send the text. I mean, it’s my fault, I guess, but – ugh…” He groaned and ran his hand through his hair. Why was he so frazzled? It was just Steve, after all. Steve, whom he argued with and insulted and teased. Why did he care so much? Bruce and Clint hurried over to Steve, waking up Thor in the process. Natasha gave Tony a murderous glare. “What kind of idiot are you? Didn’t you think that a roller coaster might be a trigger?” She stormed over to the bench. Tony felt insuppressible guilt rising in his chest. It was his fault, after all. Why had he been so dumb? His shoulders slumped as he turned and walked away. Tony wasn’t at the van. Natasha tried to call him, and the sound of Black Sabbath’s Iron Man nearly burst their eardrums. They quickly found Tony’s cell phone stuffed into the glove box. Steve opened his door. “I’ll be back in a minute.” No one questioned him or protested ash he hurried back into the park. Funny how he knew Tony better than the others. He found him in the stands of the water ski demo that was going on, right where Steve had thought he would be. The billionaire was staring but not seeing, and he certainly didn’t hear Steve coming. He nearly jumped out of his skin when Steve sat down next to him. “It wasn’t your fault,” Steve said quietly, staring out at the water skiers. Tony shrugged. “If we must. I’d sure like a—” Steve sighed. “—snowcone, though,” Tony finished. Tony laughed. “Hey, it’s my treat, and you’re the only one who gave me a pick-me-up. They skipped the counseling session, they go without snowcones.” And the two of them laughed as they headed towards the snowcone stand. Steve frowned as he stared down at his shield. There was something off with the weight. He readjusted it on his arm. Yep, something was definitely off. He pulled the shield off of his arm and gripped both sides tightly. A second later, he split the shield in half with a resounding crack. Natasha poked her head in the doorway. “Steve, what’s – whoa! What happened to your shield?” The look of surprise and shock on her face was enough to almost convince him that she wasn’t to blame, but best not to rule her out too soon. Clint came in another door, his jaw dropping. “In a destructive mood? Let me guess, the Dodgers lost.” But there was a little gleeful twinkle in his eye that assured Steve that this was the culprit. The billionaire poked his head around the doorway. “Nice job,” he grumbled to Clint. Natasha leaned on the other door frame, a grin spreading across her face. Tony walked into his lab, humming. He was working on a surprise for Pepper – the vacation cruise she so desperately was longing for – and that had put him in a good mood. Tony frowned. “What modifications? I didn’t order any modifications.” Why was he getting a bad feeling about this? He hurried over to his suit area and stopped dead in his tracks, horror crossing his face. The Mark V was now pink. Bright pink. Who – who would have done this? There was only one possible answer. “Did Steve do this?” Tony yelled at his AI. Clint stood in his room in his plain white t-shirt and shorts. Natasha always teased him about never cleaning his outfit. What she didn’t know was that he actually regularly cleaned his outfit. He had two, so when he was washing one, he would wear the other. “Girls,” he growled as he slid open his drawer. He stopped, his jaw hanging open. “Pink?” he squeaked, his eyes growing wide. His hands were gripping the drawer as if it was the only thing keeping him on the ground. “It’s pink!” he yelled. When Natasha saw Tony run by, his face inflamed, she set down her book (in spite of it just coming to a very tense moment) and thought she might as well follow. It would be interesting to see what happened. She could only assume Steve had exacted his revenge. As she stepped into the hallway, she was nearly bowled over by Clint, who yelled something unintelligible as he hurried on. Natasha hoped it was an apology, otherwise… Ah, well, she had enough satisfaction seeing him running around in shorts in a t-shirt. Since when did he do that? She had a feeling this was going to be good. She hurried down the hallway and found them facing Steve in the kitchen. She smiled. Steve was attempting to look innocent while helping Pepper put away a few groceries and trying not to laugh. Innocence and laughter don’t go too well together. Tony shot her a glare that could fry an egg. “They’re all my favorites,” he growled. “I’m not sure I’d agree,” Natasha said under her breath, earning her a glare from Clint. She grinned. The two glowered at him. “This isn’t over yet, Rogers,” Tony growled and the two of them hurried out. Natasha moved into the kitchen and started helping Steve and Pepper. “Feel like you need an accomplice yet?” Natasha stuffed the cereal into one of the cabinets. Natasha’s jaw dropped. “You didn’t.” Steve just smiled. Steve’s strokes quickened, pushing him through the water. He’d been swimming for hours, and his arms and legs were starting to feel numb. An island meant an end to his desperate struggle. And no more worries about sharks. He knew he could get there faster if he left his shield behind, but it was a miracle he had found it in the water at all. He’d just assumed that it had been lost or destroyed. He wasn’t going to take a chance on losing it now. The moment his feet touched the solid ground, he felt energy pulse through his body, and he nearly ran the rest of the way to shore. He stumbled when he finally stepped onto the dry, rocky beach. He made his way a little farther from the water and collapsed onto the ground. He was exhausted. When the helicarrier had blown up, he hadn’t expected it to catch on fire. No one had. A little fuel leak was all it took. Then everyone was screaming and jumping into the water. He rubbed his eyes, trying to blot out the memories. How could anyone survive that? Did anyone else survive? Banner might have, if he had hulked out, and maybe Thor. He wasn’t sure about the others. His thoughts ended as he drifted off into an exhausted sleep. The light was so bright. Steve groaned and opened his eyes. Oh. The sun. The sand around him was steaming, and he could feel the heat radiating off of it. Everything came flooding back to him. He sat up and looked around. The beach looked the same as it had yesterday, except not quite as awesome. After all, now he was stuck there. Then he noticed a familiar looking lump nearby near the shore a little ways down the beach. He leapt to his feet and hurried over to it, his fears mounting. He knelt by the limp form and laid his hand on the armored arm. The lump of tangled blond hair that was Thor’s head moved ever so slightly, before slowly turning to look dimly up at Steve. A moan escaped the Asgardian’s cracked lips. He was alive, at least. “Thor,” Steve said hoarsely. Thor moaned again, then rolled over, coughing as he moved onto his hands and knees, his head hanging down. He choked a little longer then tossed the hair out of his eyes. He looked over at Steve. Tune in next Thursday for the next episode/installment! Helloooo, everyone! It’s been a while since I’ve posted anything, but that’s mostly because the list of book reviews and character interviews I need to work on has gotten pretty intimidating. Peggy searched the small crowd for a familiar face. He shrugged, but she detected a hint of sorrow on his face. “Pretty good.” He averted his gaze. “Well, let’s drop your bags off in the hotel and head out for something to eat. Maybe some–” He stopped, and it wasn’t that hard to guess what he was going to say. The hotel wasn’t too far, and Howard told her it was only temporary, until SHIELD was officially started and she had time to look for a house. After eating, Howard dropped her off at the hotel, and she retired early. The next morning, Howard took her on a tour of the building that he’d purchased for SHIELD. The tour was achingly long, and then Howard got an odd look on his face and stopped by a door. “This is your office,” he announced, opening the door. Peggy stepped inside, gazing around at the beautiful room. The desk was beautiful, and Howard had been thoughtful enough to put a few special touches on the room, including a picture of Steve on the desk. She touched the frame, gazing down at the tall, muscular man in the picture. “I’ll just leave you alone,” Howard said quietly, slipping out of the office. Peggy sat in the leather office chair, setting down the briefcase she’d brought with her. She opend it and set a smaller frame next to the picture. Steve, skinny. Before and after. She closed her eyes and reached into her briefcase again. She dug around until she found her pocket knife. Then she flipped it open, found an unobtrusive corner of the desk and carefully drew the knife across its surface. The carving had been worn and smoothed by time. The letters hadn’t disappeared, the handwriting achingly familiar. His finger traced the word. Steve. If she could’ve known that he’d be reading this years later, decades later, would she have put more? Would she have written something to him? Would she have left her feelings, her thoughts, her love, just a simple note? If only he could go back. A lone tear trickled down his cheek and landed on the desk. At the request of the amazing erinkenobi2893, I’ve decided to post this Avengers fan fiction I wrote a while back. It’s quite long (twenty-eight pages) so it’s going to be split into quite a few parts. I hope that you will all enjoy it! *DISCLAIMER: This story is based off of the end of The Avengers. There are illusions to spoilers for said movie, so read with caution, but most are not major. Thor: The Dark World, Iron Man 3, and Captain America: The Winter Soldier, are not taken into account, and have not been watched by the author. That said, enjoy. “Do you have your ropes off yet, Natasha?” Steve asked. “No success,” Barton reported. Steve agreed. “Thor!” Aila exclaimed in a scolding tone as she stepped back into the room. “You should have brought Loki in. In case he regains consciousness.” She stuck a key in a keyhole – in the middle of the wall – and turned it. A buzzing sound filled the room and the magnetic portion of the wall began sliding slowly downwards, until everything stuck to it was simply sitting on the floor. Thor stared, and then turned and headed out of the building. She rolled her eyes and ignored him, walking over to Banner’s cage and unlocking it, letting the huge door swing open, and then went over to the three who had been on the wall and used a knife to slice through their bonds. “There’s antiseptic and bandages in the other room,” she told them. Thor dragged Loki into the room and used some spare rope to tie his wrists and ankles. He raised an eyebrow when he saw that Stark was still tied to his chair. “Why did you not untie him?” he asked Aila. Thor untied Stark. They cleaned the few wounds serious enough to need immediate attention while Aila stood awkwardly to the side. Stark got back into his suit, Thor retrieved his hammer, Cap his shield, Hawkeye his bow and arrow, and Natasha her gun. Natasha stuck her earpiece in her ear and contacted Fury. They went outside and waited for the jet to come to pick them up, with Steve and Hawkeye both keeping very close to Aila, just in case. Fury met the jet as it landed just outside of SHIELD headquarters. The faces of all of the Avengers were worn and tired, and all of them had injuries of some kind. Banner was the least seriously injured, with just the knot on his head from when he was knocked out. The rest were all worse. Cap helped Aila out of the jet and led her towards the building, and her cell, his hand grasping her arm firmly. Thor grabbed Steve’s arm, stopping him. “Take her to the medical people first,” he said. “She may not look like it, but she is injured.” Cap raised an eyebrow but merely nodded and prodded Aila forward. Thor moved over next to Fury as the rest of the Avengers exited the jet. “There’s more, isn’t there,” Natasha said quietly from his elbow. Thor sighed. “She said it herself. She said that she would lose either her freedom or-or me. And she chose to lose her freedom.” He stopped. “For me,” he said chokingly. I hope you have enjoyed this story! What did you think? Keep an eye out for more stories coming soon!